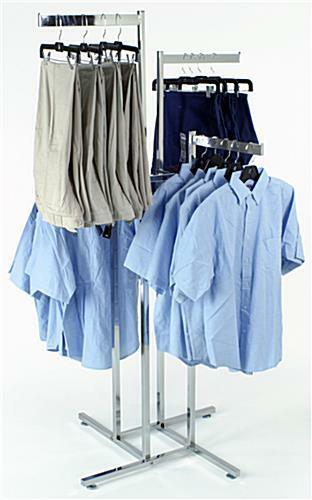 These clothes racks display garments in up to four directions! 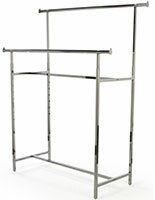 Clothes racks are just one of the many store fixture product lines we have to offer! 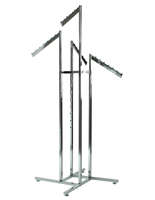 These clothes racks feature steel construction with a mirror chrome finish. 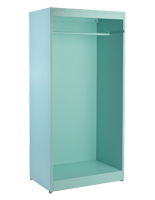 This design offers the smallest footprint for the amount of merchandise you can display. 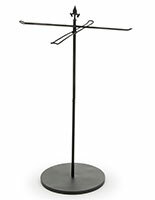 These clothes racks, including retail garment displays, are common sights in retail shops all over. Unlike the two-way fixtures, these four-way models can easily support double the number of articles. The clothes racks also come with rubber feet for protecting hardwood flooring. 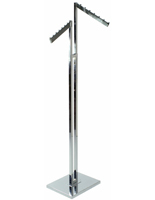 The clothes racks with chrome finish are professionally fabricated to industry standards. The four garment arms angle out in all four directions, north, south, east, and west. 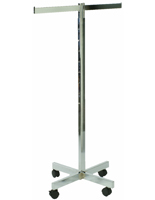 These clothes racks can be adjusted from 50" on up to a top height of 70". 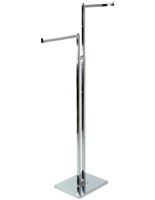 By setting the arms at different heights enables shoppers to see all merchandise from one direction. 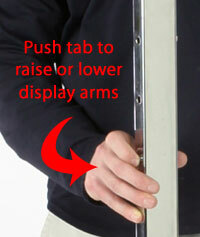 Simply push one of the steel buttons located on the stand to raise an arm. The button then locks into the hole setting of your choice. 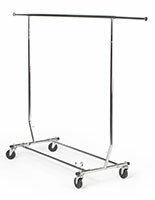 These clothes racks are shipped unassembled and they include all the hardware for assembly.